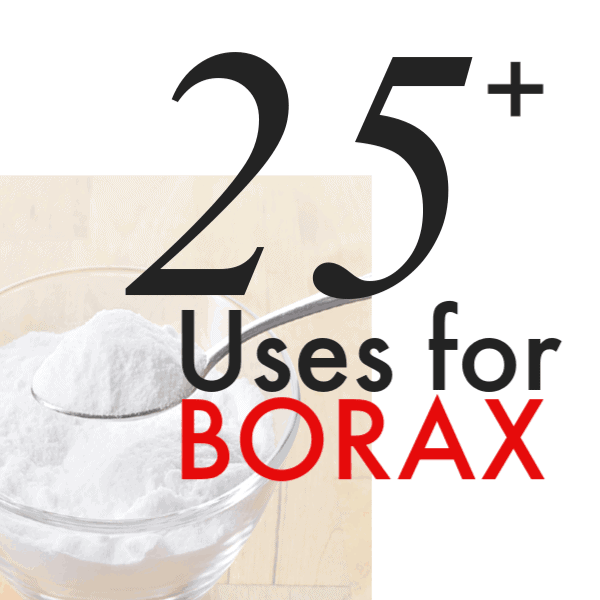 You have probably used Borax for laundry, cleaning things around the house or, more recently, for the DIY slime craze! I am going to show you the basics uses for Borax and go way beyond to show you some of the most fun and creative uses that I bet you never even knew about! We love life hacks and finding new uses for old things! 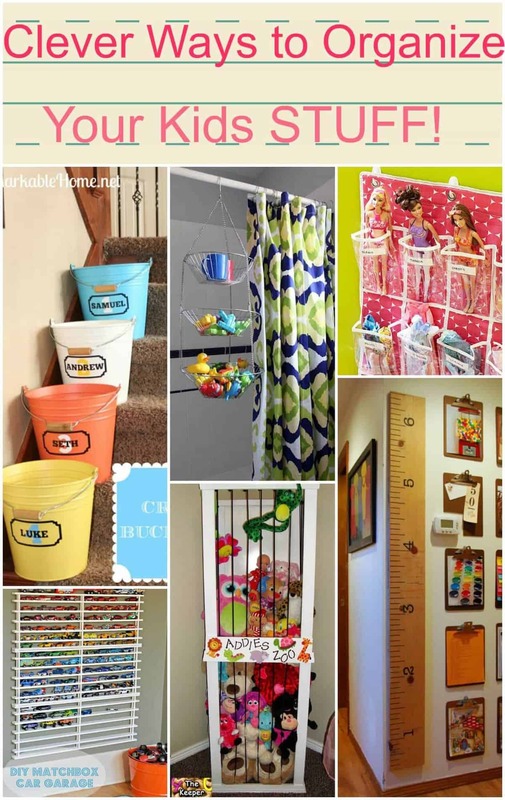 See some of our great ideas like our House Hacks or Laundry Hacks! You won’t believe what you don’t know! Borax is one of the most popular and versatile household cleaning agent. It has been around for decades and has been used in the laundry and for cleaning various things around the house. 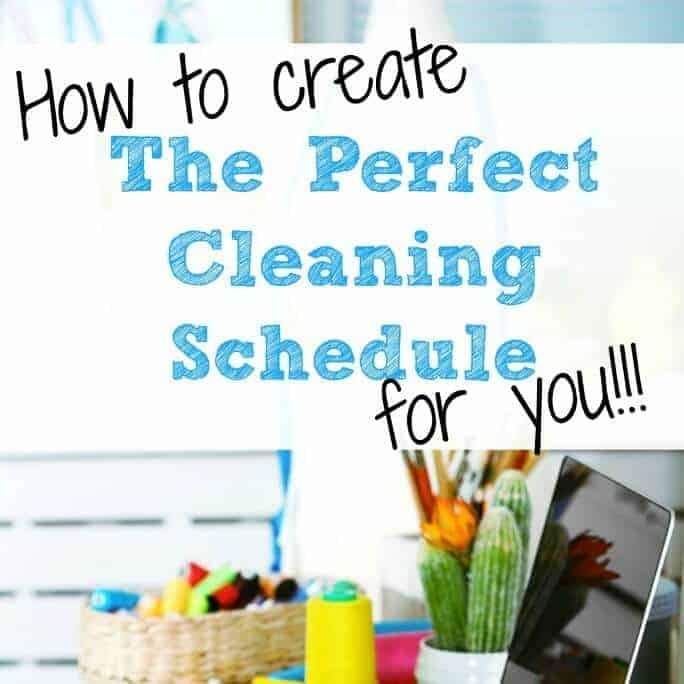 It can do way more than cleaning, too! Borax, also called sodium tetra borate, is a powdery white mineral that has been used as a cleaning agent for years. It is often called Borax Powder or 20 Mule Team Borax and is a salt of boric acid but it is not chemically the same as boric acid. 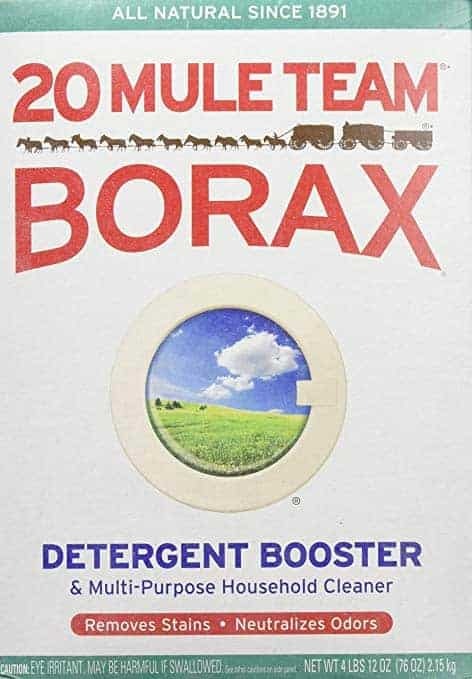 Borax got its start as a multi-purpose household cleaner. It is great at neutralizing odors and can be used to soften hard water, as well. It has long been known as a fabulous laundry booster and gets whites extra white. In beauty products, Borax is used as a preservative for all sorts of things like moisturizers, creams, shampoos, gels, lotions, bath bombs, scrubs, and bath salts. Recently, Borax has been used in a glue solution to make DIY slime. If you have kids, you know that DIY slime has almost a cult following in the kids craft department. There are even You Tube Channels and Instagram Accounts that are all slime… all the time. Is Borax Safe or is Borax Toxic? There is much controversy over the safety of Borax and even if it is toxic for humans. This can be so confusing, especially when Borax Powder is a popular ingredient in “green” cleaning solutions and homemade cleansers. It does not contain phosphates or chlorine. First, let me say that Borax should never be used in food. 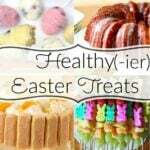 It is not safe to be ingested in any form. Like all cleansers and detergents, it should be stored in a safe place away from kids and pets. It also can be an eye irritant and skin irritant if used in an undiluted form. While it is not toxic to humans, it can be dangerous for insects. Borax can be used as a natural pesticide to kill ants. I am going to let you make the final call as to the safety of Borax in your home, but I use it in mine in a diluted form for all sorts of things. Where do you get Borax? Borax can be purchased just about anywhere that sells cleansers and detergents. You can also purchase it on Amazon (affiliate) here. How do you make a Borax Solution? Since there are so many uses for Borax, you can imagine that there is not one magic recipe for a borax solution. Once you determine what you want to clean, whip up or freshen up, you’ll find a plethora of ways to concoct a solution to meet your needs! Borax has been used for over a hundred years to clean several areas of your home. Here are a few ideas of just what all this powerful powder can do in your home. All Purpose Cleanser: Make an all-purpose cleaner by mixing 2 tablespoons borax and 2 cups hot water in a spray bottle. Toilet Bowl Cleaner: Pour 1 cup of borax into the toilet bowl at night before you go to sleep. The next morning clean out the toilet bowl with a brush. Dishwashing Detergent Boost: Line the bottom of the dishwasher using borax and run your next load of dishes as normal. Cookware Cleaner: Borax is a mild and gentle cleaner that’s great for porcelain and aluminum cookware. 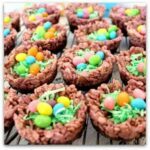 Sprinkle on pots and pans and rub with a damp dishcloth. Rinse thoroughly. Unclogging Drains: For help with drains use 1/2 cup of borax followed by 2 cups of boiling water. Let it sit for 15 minutes, then run your water for a few minutes to flush it out. Garbage Can Deodorizer: Deodorize your garbage pail by filling it with borax and water. Let it soak then rinse it out. Sprinkle some borax in the bottom once it’s clean. This will keep the bugs away and absorb any odor causing moisture. Rust Remover: Use 1 tablespoon of Borax, add 1 tablespoon of lemon juice, and enough water to make a paste. Apply the paste with a sponge or scrubber to remove the rust from your items. Bathroom Cleanser: Sprinkle borax on a damp sponge or soft cloth and use as you would a powdered cleanser. This can even be used on fiberglass surfaces without scratching the finish. Rinse thoroughly. Cleaning Porcelain Sinks: Remove stains from stainless steel or porcelain sinks with this recipe: Make a paste with 1 cup borax and 1/4 cup lemon juice. Using a sponge or cloth, rub the stain with the paste. Rinse with warm water. Cleaning Kitchen Surfaces: Borax provides scratch-free cleaning for counter-tops, cookware, appliances, and more. It’s perfect for removing stains, ground-in dirt, and other buildups on a multitude of surfaces, from tile to granite to stainless steel. Sticker Residue Remover: Get rid of sticky, gooey, and gummy adhesive residue. Simply mix together borax and water in a 2-to-1 ratio, then rub the mixture onto the residue. Deodorizing the Refrigerator: Spilled food can be washed away with a sponge or soft cloth using a solution of 1 quart warm water and 1 tablespoon of borax. Rinse with cold water. Sink: Remove stains from stainless steel or porcelain sinks with a paste of 1 cup borax and 1/4 cup lemon juice. Using a sponge or cloth, rub the stain with the paste. Rinse with warm water. Floor Cleaner: Mix 1 teaspoon of dish detergent mixed with 1/3 cup of Borax, 1 tablespoon of ammonia and a gallon of hot water makes a wonderful floor cleaner. Borax can be used to clean, but it is also great with pets and keeping unwanted bugs away. Insects: Keep roaches, waterbugs, and ants away by sprinkling equal parts of Borax and sugar anywhere you suspect they may be entering your home. Mice: Did you know that if you sprinkle Borax along the walls and doorways, you can help get rid of mice. Mice hate to have it on their feet and won’t return. Fleas: Does your pet have fleas? Sprinkle Borax on dog beds and crates to eliminate fleas. Also be sure to sprinkle it on carpet or anywhere else you think the fleas may be hatching. Cat Litter Deodorizer: Minimize odor in your cat’s litter box by mixing a few tablespoons of borax in with the litter. 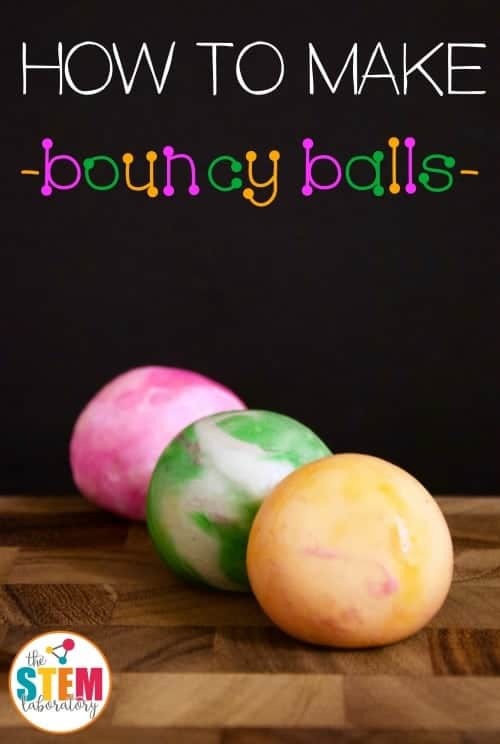 These are really cool ideas to use Borax. All of these were so surprising to me. Preserving Fresh Cut Flowers: To use Borax to preserve your flowers, mix two parts 20 Borax and one part dry white sand to keep those flowers from wilting quickly. 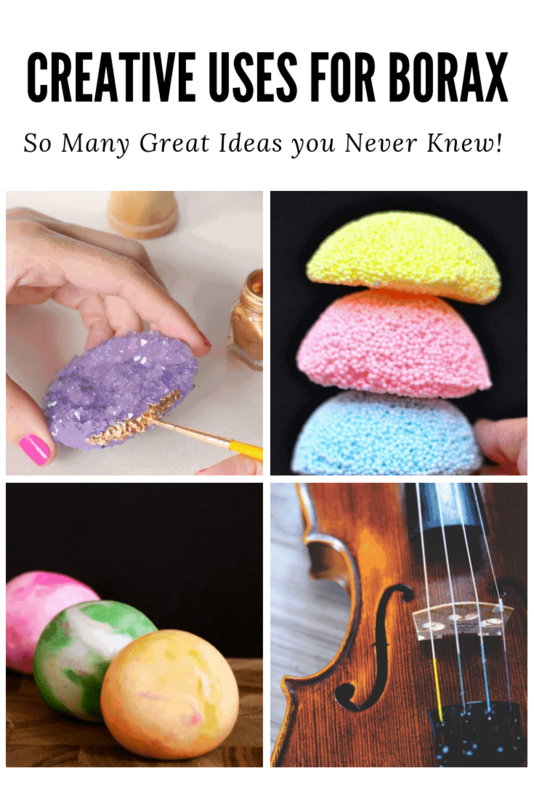 Violin String Saver: If you play violin or an instrument with a bow, you can clean the bow hairs when they get gummed up with rosin. Just dampen an old toothbrush, dip it in borax, and gently scrub the bow hair in small sections. Avoid getting the any water or borax on the wood. When you’re done, wipe the bow hairs clean and re-rosin. 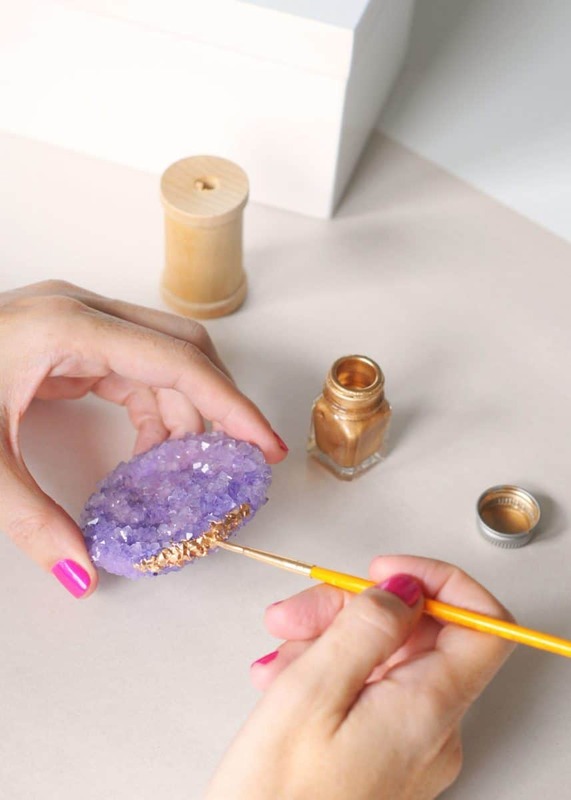 DIY Crystal Geodes: Grow your own geodes to use for all sorts of cool things, using Borax, like this fun project on ETSY. Shine China: If you have an old set of china that needs a little facelift, Borax is a good choice to clean your china. You just have to soak old china in a sink filled with warm water and ½ cup of Borax. Leave the dishes soaking for at least 30 minutes and then simply rinse the Borax away and wash as usual. 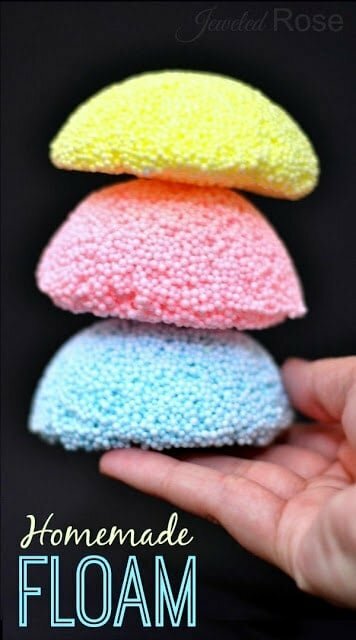 DIY Floam: Yes… you can make this at home! Check out Growing a Jeweled Rose’s Tutorial to see how to make DIY floam.